Father Kent Wilson greets parishioners after the Mass. An exterior view of Immaculate Conception Church. Parishioners pray during the Mass. 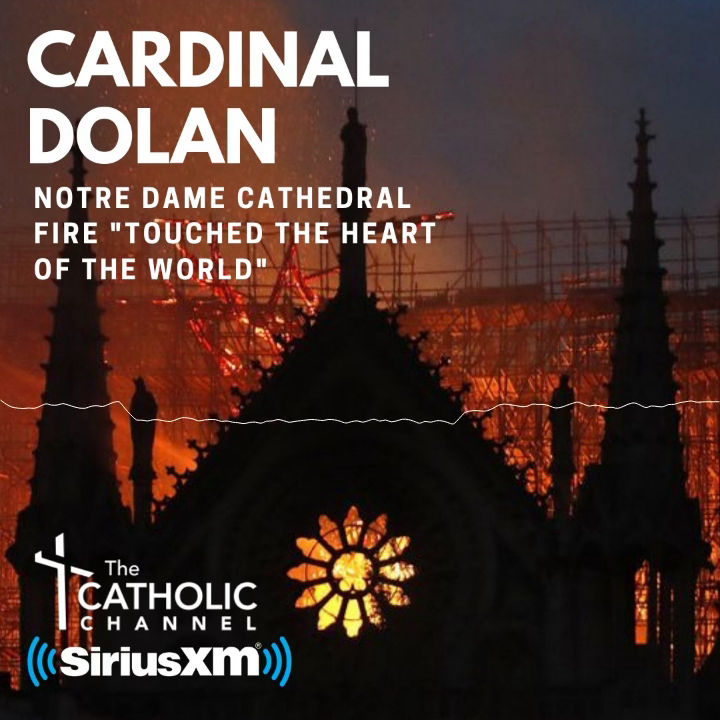 Cardinal Dolan celebrates the Mass. Rosanna Hamm, a lifelong parishioner of Immaculate Conception-St. Anthony parish in Amenia, was born in the Dutchess County town and baptized at the parish in 1951. She added, “It’s a very close-knit community; it’s an integral part of my life.” Mrs. Hamm has been a parish trustee for three years. She also has served as a lector for the past 30 years, and she volunteers at the parish’s food pantry and thrift shop. She taught religious education for 27 years. Immaculate Conception-St. Anthony parish has been celebrating its 150th anniversary this year, and the commemorations included a Sept. 17 Mass offered by Cardinal Dolan, followed by a parish community barbecue. The parish is also served by Deacon David Weinstein; Virginia Bida, religious education coordinator; Denise Conway, parish secretary, Regina Syversen, organist and choir director; and Ken Pomeisl, web master. St. Anthony became part of Immaculate Conception parish in 2015 under the archdiocese’s Making All Things New pastoral planning process. The two Dutchess County churches are about 18 miles apart—St. Anthony on Poplar Avenue in Pine Plains, and Immaculate Conception on Lavelle Road at South Street in Amenia. The parish has about 300 registered households. As the parish story goes, Father Michael Riordon of St. Peter’s parish in Poughkeepsie visited an outpost of the parish, Amenia, in 1852 to offer the first Mass in town. It was at the home of Thomas McEnroe, in the Ore Bed section of the village, according to parish records. There were some Catholic families in the town, and several Catholic men were employed in the iron ore beds at Sharon Station and Amenia. Father Patrick Tandy was assigned as the first pastor in 1868 when the first church building was constructed, located south of the village. New parish lines were drawn up, and coming within the boundaries of Immaculate Conception parish in Amenia were several mission churches. In July 1886, lightning struck the church and caused a fire that destroyed the building, including the basement school. The following year, the present church was built, and the parochial school was again housed in the basement. In 1958, a new modern-type parish elementary school was built on the church grounds. Dominican Sisters of Blauvelt taught classes before and after the school construction. The elementary school was founded in 1881 and closed in 1986. In recent decades, the parish has undertaken other notable endeavors. It started the parish food pantry in the late 1980s, opened a thrift shop and built the Shrine to St. Peregrine, designed to provide spiritual comfort to cancer patients and their families. The Sisters of Life, based in Suffern, became nearby summertime friends with the establishment of Camp St. Joseph, used for retreats, at Wethersfield Garden northeast of Millbrook. Mrs. Conway, the parish secretary, said that for the past two years parish youths who are 8th-and 9th-grade students have had retreats at Wethersfield Garden in preparation for Confirmation. Advent performances of the Living Nativity are now held, complete with animals, and performances by religious education students. Also, the cross on the steeple of Immaculate Conception has been repaired, and a portrait of the Blessed Mother inside the church and the statue of Our Lady outside have been restored.